(Newser) – Reddit is known for its "Ask Me Anything" event forums—but "Tell Everyone Everything" and you may get your category banned. 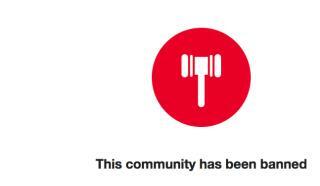 The Verge reports that the site nixed two subreddits that feature "alt-right" content (far-right content that often stresses white identity) amid accusations of doxing, or when personal or confidential information about someone is spilled online. Head over to the r/altright or r/alternativeright pages and a notice appears indicating the community has been banned for "violating the Reddit rules." Gizmodo notes that a few hundred people have already created a substitute gathering spot on Voat, a site that CNET has described as wanting to be the "anti-Reddit." Now that white identity is on the move the fascists are going to try everything. Ahhh. . . . . the limitations of free speech embraced by the left. Shame on all the thugs rioting on Berkeley's campus. Shame on you! Guess Michelle Obama's, "When they go low, we go high" comments were just a bunch of BS. The main Alt Right troll still exists there though.